Figure 1 Edward Settle Godfrey was a first lieutenant and commanded K Company of Capt. West’s squadron at the battle of the Washita. During the attack on the Washita, a number of incidents occurred, to, or were witnessed, by the members of the army command. 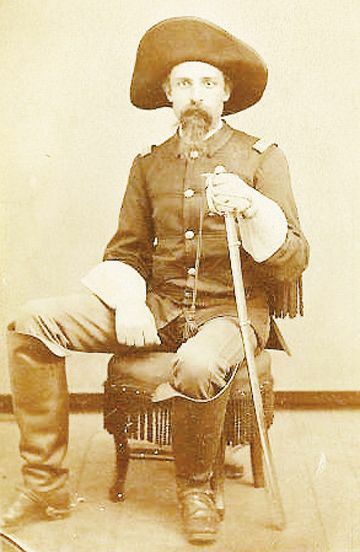 One such incident involved Lieutenant Edward S. Godfrey- tasked to round up all the Indians’ ponies.